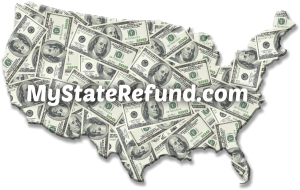 My State Refund State Listing - Where’s My Kentucky State Refund? Find your Kentucky State Refund here. Follow the links below to Track your KY Refund. Waiting for your state tax refund? Track the status of your refund by using the Kentucky Department of Revenue’s “Where’s my Kentucky State refund?” tool. Just fill in your Social Security number or Individual Taxpayer Identification Number, expected refund amount, and the filing tax year, and you can get instant information about your refund. The Kentucky Department of Revenue is a secure, electronic self-service system. It allows you to submit payments securely and view account balances, make payments for returns and assessments, protest appeal assessments, and view copies of correspondence. For more information about filing your Kentucky state tax return and locating your refund, visit the Kentucky Department of Revenue. Kentucky Department of Revenue issues most refunds within 21 business days. You may check the status of your refund on-line at Kentucky Department of Revenue. You can start checking on the status of your return within 24 hours after they have received your e-filed return or 4 weeks after you mail a paper return. Their phone and walk-in representatives can research the status of your Kentucky State refund only if it has been 21 days or more since you filed electronically, more than 6 weeks since you mailed your paper return, or Where’s My Kentucky State Refund? directs you to contact them. According to the Kentucky Department of Revenue: If you file your return electronically and have your refund directly deposited into your checking or savings account, you will receive your refund faster. If you file a paper return, you should allow as long as 15 weeks for your refund. Check your Kentucky State Refund Status, click here. This entry was posted in Kentucky, State Refund Information and tagged 2014, 2015, kentucky, kentucky state tax, State Refund. Bookmark the permalink. Follow any comments here with the RSS feed for this post. Both comments and trackbacks are currently closed.